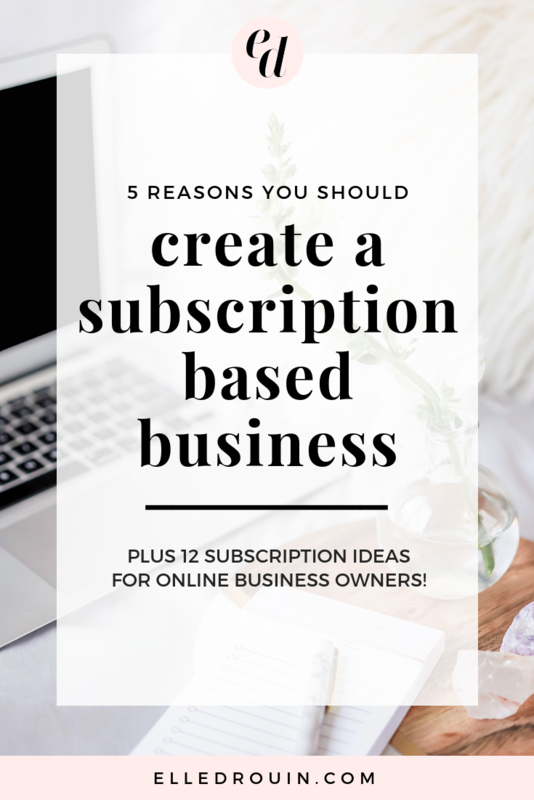 Last week I shared 5 reasons you should create a subscription-based offer and got so many messages from people in my community who are eager to add recurring revenue to their businesses too! 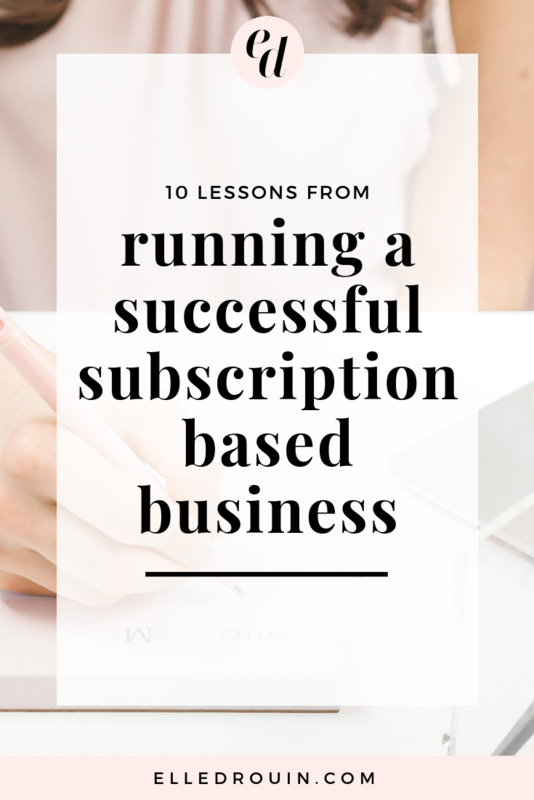 While recurring revenue is definitely one of the perks of having a subscription-based business, there are a lot of things I didn’t know about running a subscription based business before I created the Styled Stock Society so I thought I’d share 10 lessons that I’ve learned from running a successful subscription-based business for the past couple of years. 1) It can be as simple or as complicated as you make it. When it comes to subscription-based businesses, a lot of people automatically think of subscription boxes (of physical products) or membership sites – but there are a ton of different ways to create subscription-based revenue. You could literally do something as simple as charge people to receive an email every month (I’ve done this!) or something as complicated as creating a whole membership site with videos / pdfs / tools / resources / live training AND a whole community (wayyy more work). I shared 12 different ideas in this post, but the point is – there’s not a single “right” way to run a subscription-based business, and it really can be as simple or as complicated as you make it! Sure, the simple things are usually priced lower than more complex subscriptions, but ultimately the VALUE that you deliver is what matters to your subscribers. 2) You shouldn’t create a subscription-based offer without an audience to sell it to. I know the idea of recurring revenue sounds pretty awesome to pretty much everyone, but if you’re just starting your business and haven’t built an audience / community / email list – I would tell you to focus on building an audience BEFORE you try to create and sell a subscription-based offer. Unlike one-to-one services which don’t really require you to have an audience (you can be fully booked out based on relationships / referrals), you need some sort of audience to sell a subscription-based offer to. Build it and they will come is not a thing. Maybe if you have a ton of money to spend on ads and/or really amazing affiliate relationships to help you launch… but to continue to successfully grow your subscription, you need an audience. Not necessarily a HUGE audience (I only had 3,000-ish people on my email list when I initially launched mine), but when it comes to growing a subscription-based business, numbers matter! 3) You won’t make everyone happy. If you’re used to working with clients one-on-one, you probably come from a place of trying to make all of your clients happy. #truth – when you run a subscription-based business, you won’t make everyone happy. Your subscription won’t be for everyone. Some people will join and be disappointed because it’s not what they need / want / expected. But that’s not (necessarily) your fault! When you have a (lower priced) one-to-many offer, you are going to attract more people, and some of them won’t be the right fit. Even if your sales page is SUPER clear on who your offer is for, you are probably at some point going to end up with someone who isn’t 100% happy (since you’re not pre-qualifying people in the same way you do with one-to-one clients). And that’s ok. Really. 4) You will want to focus on growth when you should be focusing on retention. Most people who want to start subscription-based businesses are drawn to them because of the idea of recurring revenue. But guess what – that revenue is only recurring if your subscribers continue their subscriptions! One thing that you always need to think about with a subscription-based business is your churn rate (the % of subscribers who leave during a given period). You could be getting new subscribers, but if your churn rate is higher than your growth rate, then you’re not really growing at all! To run a successful subscription-based business, you need to focus on retention. That means knowing what your subscribers want and keeping them happy! Make sure that you’re regularly surveying your subscribers so that you know what’s working and what might need improvement. 5) People will unsubscribe and that’s totally normal. At some point, most people will stop their subscriptions. They might try it for a month and leave. They might subscribe for 6 months / 1 year / 3 years / etc. but most people do not keep their subscriptions active “for life” (unless you have a lifetime subscription option). This doesn’t necessarily mean there was anything “wrong” – usually it just means that your subscription wasn’t an investment that they wanted to continue to prioritize in their life. I recommend sending an “unsubscribe survey” asking people why they unsubscribed – it’s a great way to see if people are leaving because of financial / life changes or if it’s because they weren’t happy with their subscription. Most of the time when people leave the Styled Stock Society it’s either because they have all of the photos they need for the time being or for budget reasons – which is totally fine! Pricing one-to-one services isn’t that hard if you know how much money you want to make, how much money you need to spend, and how much time you want to work. But pricing digital products like online courses or subscription-based offers (that aren’t physical products), is much more complicated. Because when you have a one-to-many offer, your pricing isn’t really related to your time. You still have to think about how much money you want to make, how much money you need to spend to get and keep things up and running, and how much work you’re putting into it – but ultimately you can set prices based on the value that your target audience receives – and as you scale your business you can also scale your prices. When you first start a subscription-based business, you might price your offer on the lower end of the spectrum – partially to validate your offer, but also to leave room to grow. You can always raise your prices, but it’s awkward to lower them if you set the bar too high! 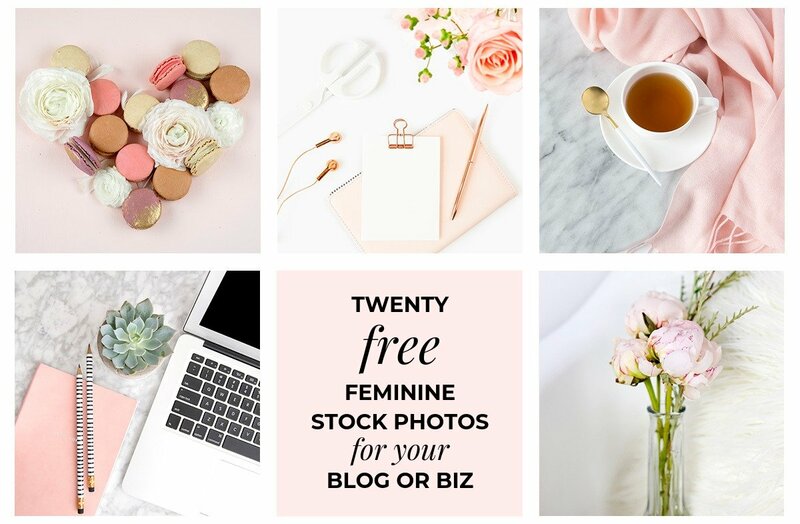 When I first started the Styled Stock Society, I intentionally kept my expenses as low as possible (I only spent $16 the first month on a bundle of pink peonies from a local deli that I used as a prop) – I didn’t even have a sales page or a website or a camera of my own (I literally borrowed one to start the business). But over time, I started investing more in the business, built a custom membership site, bought my own camera / lenses, and worked my way up to spending $1,000+ per month on related expenses. And of course – I’ve raised my prices too! 8) The more you grow, the more “maintenance” you’ll have to do. 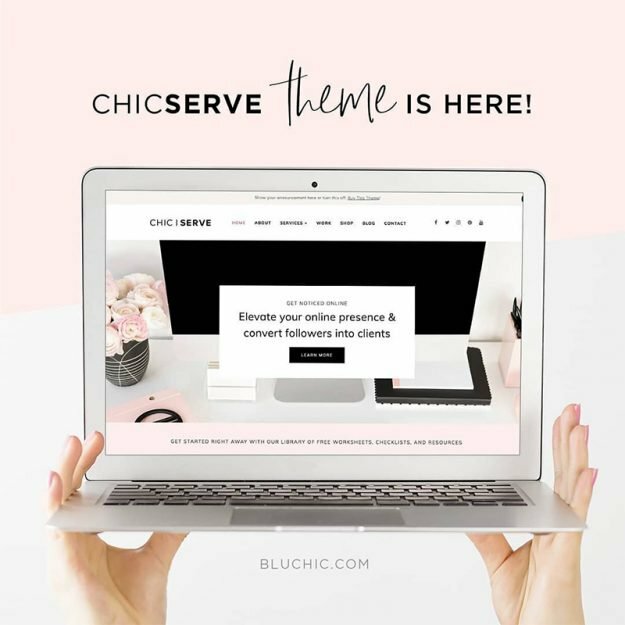 When you only have a few clients at a time, you probably don’t have an inbox flooded with transaction notifications, support requests, prospective subscriber inquiries, and more. But imagine if you had 100 or 1,000 or 10,000 clients – that could lead to SO MUCH maintenance and communication! There are a ton of different things that you can do to minimize the time spent in your inbox. For example, set up a FAQ page with answers to the questions you find yourself answering over and over again or create canned responses to frequent emails or set up automations so that when you have failed transactions (which WILL happen at some point with a recurring subscription), you have a system for handling them. Ultimately, just be prepared for more emails in your inbox – and I highly recommend 1) creating a separate email just for support requests and 2) hiring someone to handle those support requests if you can! 9) You’ll need to adapt as you grow. Running a scalable subscription-based business can feel easy… except when it doesn’t. As your subscribers grow, you may have “growing pains” – you may realize that your sales platform doesn’t have all the capabilities you need or that your content distribution system needs to be refined or that your subscribers’ needs have changed over time. In short, you’ll need to adapt as you grow. And as frustrating as that can be, it’s also a good thing! I personally had to change membership platforms when I outgrew the one I used to use (it was a pain to migrate hundreds of members, but worth it in the end), and have changed the way the subscription works (it started with delivering a simple 30 photos per month and eventually grew into a library with over 1,500 photos and 50+ new images added each month). All of the changes I’ve made to my subscription-based business over the past 2+ years were in order to provide a better member experience and improve retention rates (see #4) – if you don’t adapt to your subscribers’ needs, you might just get stuck on a plateau – or worse, your subscription might even fail! 10) It will force you to set a schedule. Last but not least, running a subscription-based business forces you to adhere to a set schedule. If you’re used to winging it or playing tetris with your deadlines, you’ll need to get used to creating and delivering content on a set schedule! Because – as I mentioned in my previous post, recurring revenue comes with a recurring obligation to deliver value to your subscribers. I’m VERY motivated by deadlines – so running a subscription-based business where I know that I have to deliver new stock photos on the 15th of every month makes it easy for me to plan all of my work in advance and streamline my workflows. So those are 10 lessons I’ve learned from running a successful subscription-based business over the past couple of years – #realtalk, it hasn’t always been easy – but creating a subscription has allowed me to work less while earning a consistent recurring income so it’s all been worth it! If you’re ready to add recurring revenue to your business, the first step is coming up with a subscription idea! Join my free guide to creating your recurring revenue idea below! Like most creative entrepreneurs, I started my business by freelancing / offering one-to-one services. But over time I realized that my time – and more importantly, my income – was limited. I wanted to leverage my time by creating something once and then selling it over and over again. Back in 2016, it seemed like “everyone” was creating online courses, so I did too. And from a revenue standpoint, it was great! I put a ton of work into creating and launching courses, marketed the hell out of them, and had huge-for-me five figure launches. And I did it over and over again earning more $$$ each time. I learned a lot of things from 4 back-to-back launches in 3 months, but the most important thing I learned was probably that I didn't really want to run online courses (more on that below). What I really wanted was recurring revenue. And while courses could have been the way to achieve that, I realized creating a subscription-based offer would probably be easier, and thus, the Styled Stock Society was born. Creating a subscription-based offer was literally the thing that changed my business and enabled me to work fewer hours while earning a more consistent recurring revenue so if that's something you're craving in YOUR business, here are 5 reasons you should create a subscription-based offer. This is literally the reason I started my subscription-based business. In 2016 I was consulting, working with individual clients, and also launching online courses. I liked the idea of courses because my revenue wasn't tied to the hours I worked (unlike when I was working with clients), but I hated that I felt like constantly launching courses was exhausting – I was spending a TON of time creating all of the content for my courses and even though all my work paid off, I hated the extreme highs (launching = $$$) and lows (that time in between launches when I thought OMG I need to create something else so I can launch again). Part of my issue was that, at the time, I hadn't figured out evergreen sales funnels yet – but a bigger part was just knowing that there had to be some EASIER way to earn leveraged income on a recurring basis. Creating a subscription-based offer has been the easiest thing I've done to create recurring revenue in my business. Essentially you just need to be able to solve a problem for a group of people on a consistent, recurring basis. 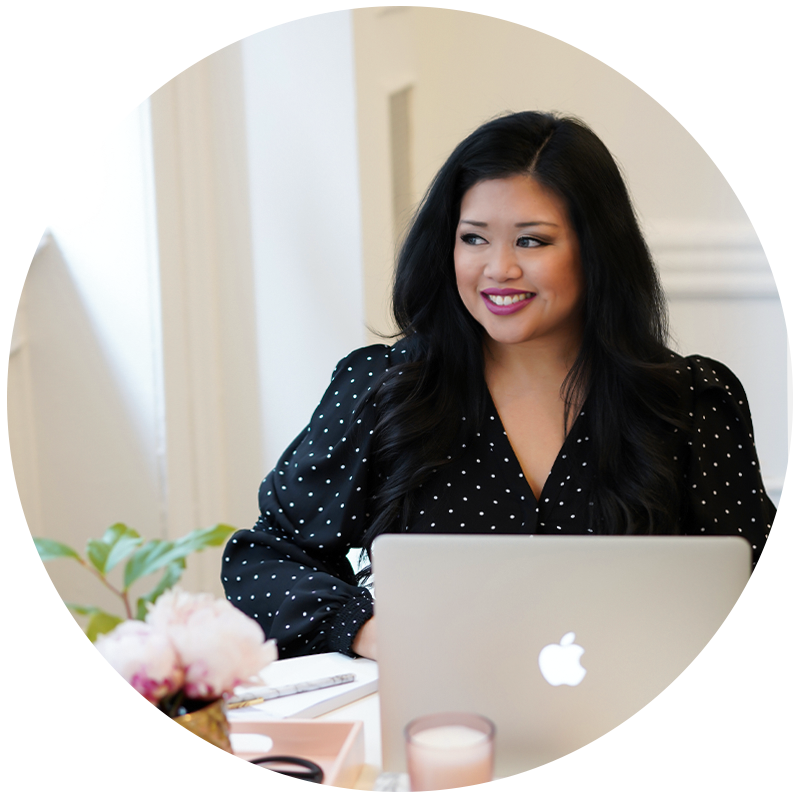 I subscribe to a number of different tools like Tailwind, SmarterQueue, and Planoly that help me run my business more efficiently. I subscribe to Netflix because it enables me to binge watch tv and movies (and that basically describes my Friday nights). And one of the best presents I've ever received was a weekly flower subscription (because getting fresh flowers delivered every week was literally the gift that kept on giving)! There are a ton of different types of subscription-based businesses out there who are probably taking YOUR money every month, but have you ever thought of creating your own?? Or maybe, it's time to think about creating a subscription-based offer. Creating an offer where you provide a simplified version of your services on a 1-to-many basis can be a great way to create leveraged income (meaning you do the work once and get paid repeatedly for it). Just because your time is maxed out, that doesn't mean your income has to be! #realtalk – If you don't love creating content – creating a subscription-based offer is probably not for you. If you want to continue to provide value to your subscribers, that means you're going to need to be creating “stuff” for them on a regular basis. Whether that's templates, videos, courses, workshops, photos, etc. – remember that recurring revenue also comes with a recurring obligation to create content. Personally, I LOVE creating content. I didn't love creating courses (mainly because creating videos drained me), but I do love planning and creating other types of content. 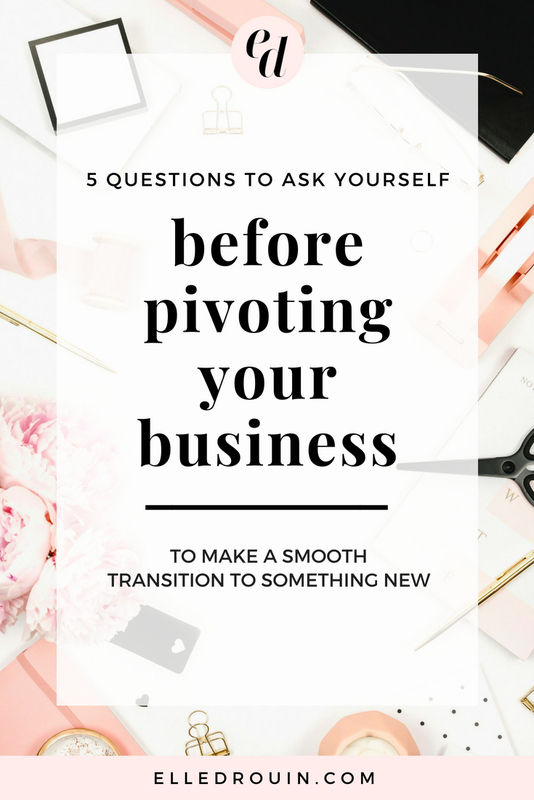 Back when I was consulting full time, I knew I wanted to pivot my business because I missed creating content (and I hated talking to people all day long). If you're the type of person who always has new ideas and wants to create new things while helping more people – a subscription-based offer is perfect for you! But if you want to be able to just create something once and try to sell it over and over again via an evergreen funnel, you might want to create a single digital product instead of a subscription-based offer. When you're working with clients one-on-one, your #1 job is to make your clients happy. Sometimes that means designing / writing / photographing / creating / etc. things that aren't exactly your favorite thing. Sometimes the things your clients love aren't the things that YOU love… but you have to do them anyway. But when it comes to creating a subscription based offer, you shouldn't be trying to make everyone happy. There's creative freedom that comes with running a one-to-many type business. When I create collections for my Styled Stock Society members, I get to do whatever I want. Of course, I'm always trying to take into consideration what my members request (I ask for feedback and run member surveys twice a year) – but ultimately, I have the creative freedom to create the images that I want to create. Last but not least, you might want to create a subscription-based offer – specifically, a membership site – if you want to streamline your business. If you have lots of ideas and want to create different courses / trainings / etc. then it may be confusing for your audience. By housing all of your training under a single membership site, you can streamline your marketing by promoting a single offer (your membership) while still offering a variety of resources. Printables like daily / weekly / monthly planning sheets, to-do lists, check lists, etc. First step? The first and most important step is validating your idea. Most subscription businesses fail because people don't take time to really understand their market and validate their idea! Don't waste your time creating something before you KNOW it's something that your audience wants. Grab my guide to validating your subscription-based offer idea below! Already validated your idea? It's time to take your business from idea to launch – learn more about my group program Revenue on Repeat™ and apply today!